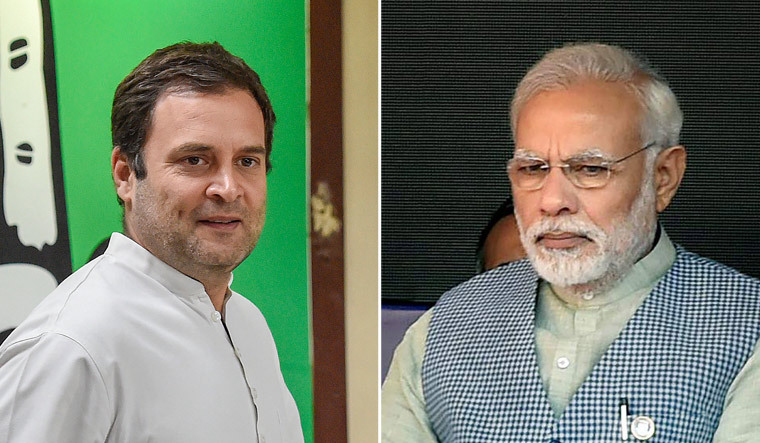 Prime Minister Narendra Modi and Congress president Rahul Gandhi will be in Chhattisgarh on Friday to campaign for the first phase of the assembly elections in the state. Modi will address a rally in Bastar district's headquarters, Jagdalpur, while Rahul Gandhi will tour the state for two days during which he will address five rallies and hold a roadshow in Chief Minister Raman Singh's constituency, Rajnandgaon. The prime minister is scheduled to arrive at Raipur airport at 11:20am on Friday and then take a helicopter to Jagdalpur. Following the rally, he will leave for Raipur at 2pm and then return to Delhi, a state BJP spokesperson said on Thursday. "This will be the PM's first election rally for the state assembly polls. It will add power to the party's campaign," the spokesperson added. Rahul Gandhi on Friday will address his first rally in Pakhanjore town of Kanker district at noon, followed by public meetings in Rajnandgaon district's Khairgarh and Dongargarh towns, and a roadshow in Rajnandgaon, said head of Congress state communication wing Shailesh Nitin Trivedi. Raman Singh is also scheduled to hold a road show in Rajnandgaon on Friday evening. He is pitted against the Congress's Karuna Shukla, niece of late prime minister Atal Bihari Vajpayee. The campaigning for the first phase will end Saturday. The first phase on November 12 will see 18 seats of eight Naxal-affected districts go to polls. Of these, 12 are Scheduled Tribe seats while one is a Scheduled Caste-reserved seat. The ruling BJP had lost 12 of the 18 seats in the 2013 assembly polls. The remaining 72 constituencies will witness polling on November 20 and counting of votes will be held on December 11. A total of1,291 candidates are in the fray for the two phased state polls. In the 2013 Assembly polls, the BJP had won 49 seats, Congress 39, BSP 1 and Independent 1 in the 90-member House.